I have a new supplier so prices have been reduced! These small studs have synthetic turquoise cabochon set into the top, and a peg on the back. Simply drill a hole in the gourd, add a bit of glue and pop them in! These rings are beautifully cast and polished, and have a lovely design on the rim. They great when you want a special treatment for the rim of a gourd. They only come in one size. The inner opening is about 2 1/2" wide and the outer edge is about 3 1/2" wide. I've used apoxie sculpt as an adhesive and also as the perfect way to create a smooth blend between the gourd shell and the ring. 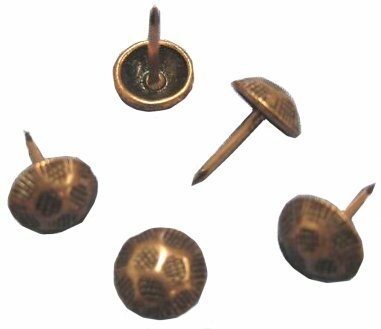 Plain Studs - These small plain studs have a peg on the back. Simply drill a hole in the gourd, add a bit of glue and pop these in for a nice accent. 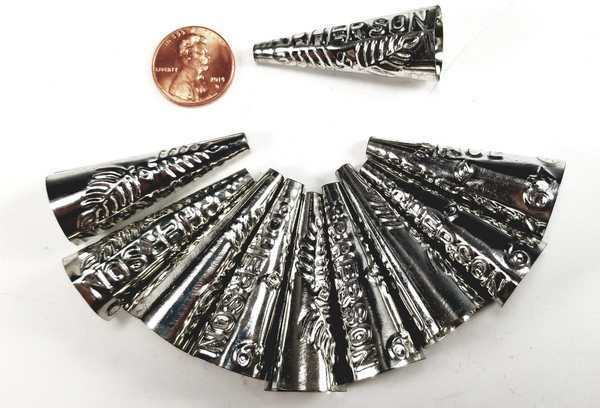 Use these as decorative accents on masks or as dangles. 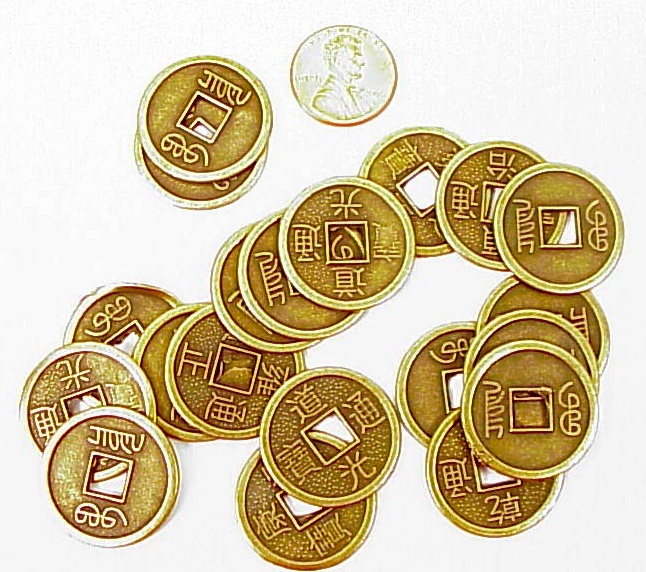 Good quality replica Chinese coins from the Ching dynasty. *Looking for Heishi, Turquoise Cabochons, Ammonites and Arrowheads? 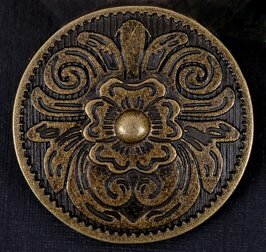 Premium conchos are much higher quality. Instead of being stamped out, these are cast and are very rich looking. 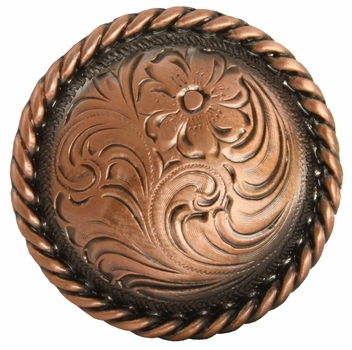 Use these when you really want a special accent on your western or leather like gourd projects! 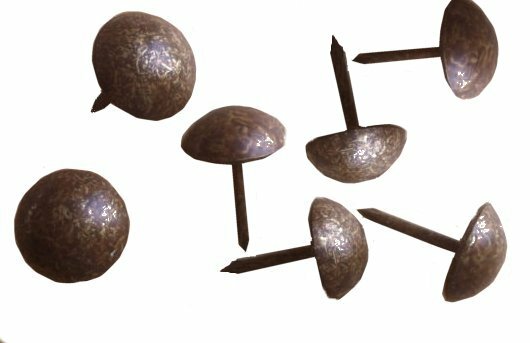 Decorative tacks for drum making and decorative use. Head size is approximately 10mm. 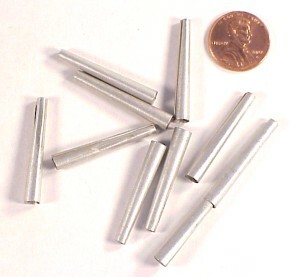 Shanks are 1/2" long. All are made from steel, with various platings and finishes. 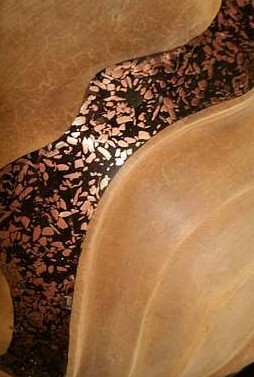 *French brass is a brownish satin finish metallic. Simulates old brass, but actually has a tarnished copper appearance. 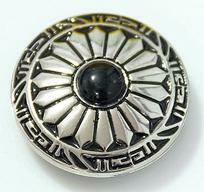 *Pewter is satin finished dull silver color. Butterfly wings may be carefully bent upward. 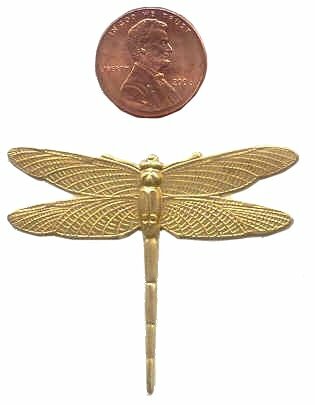 The large Dragonflies are shipped flat, but wings may be bent if desired. 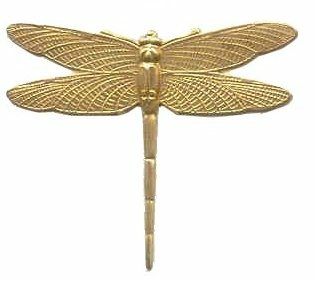 Because they are real brass, they may be patined with oxidizing solutions or may be painted or torched for color. 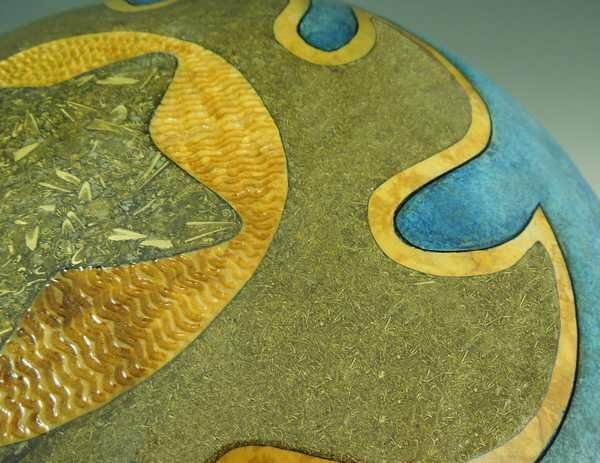 Glue directly to the gourd surface; attach with a small amont of Apoxie Sculpt, or solder on a small bit of brass rod for mounting into a drilled hole. 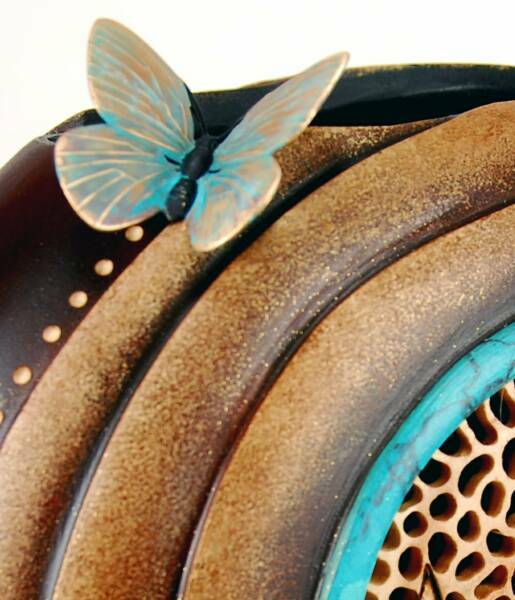 Example to the right has a body painted with acrylics, and patina oxidized wings. 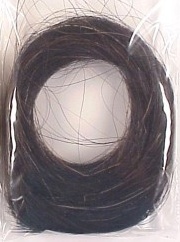 Tiny - 3/8" x 7/16"
*Cones are perfect for neat insertions of horsehair into gourd masks. Simply tie the end of a small bundle of horsehair together with a bit of thread, and use a bit of glue to secure the tied area. When dry, snip off any excess hair from the end of the glued bundle, and then add a bit more glue and slide the trimmed end into the cone. Drill a small hole in the mask, then glue the cone into the hole. I recommend Weldbond or PC-Universal glue for horsehair insertions - it's strong like epoxy, and it dries clear. It cleans up easily with water. 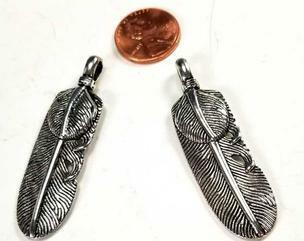 Metal Feather Charms These are cast from jewelry quality pewter, and are double sided. Awesome accents at a budget price! See penny for size comparison. "Western Elegance" by Hellen Martin. Faux turquoise studs are used as accents. Silver/Turquoise Silver/Black or Silver/Coral combinations. 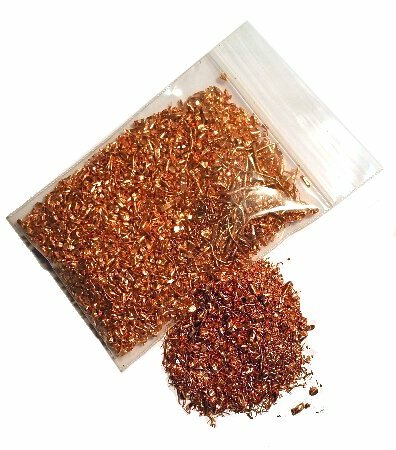 8 Ounces of real copper for inlay. The material is fine enough to be set with clear or colored Inlace (the scrap is similar in size to Inlace Nuggets) or other resins. 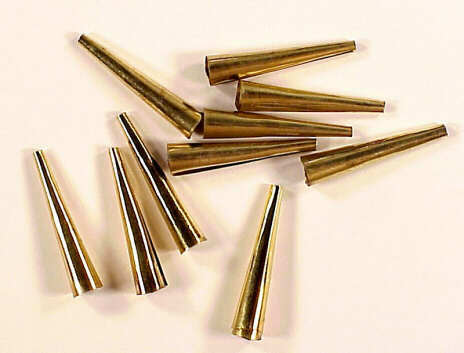 2 Ounces of real brass for inlay. 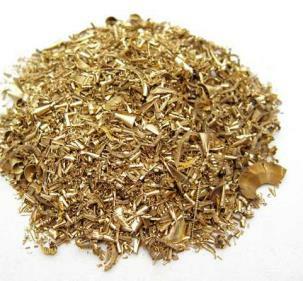 These brass machine filings have lots of cool twists and curls, and are easier to grind down than the copper since the shavings are not as dense. It looks nice set with clear or colored Inlace or even CA glues. Note: The brass bag has more in volume than the copper because of how it is finely shaved. It is also easier to grind down. 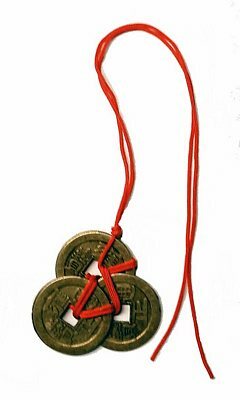 See the Project Packets page for the "Metal Inlay" tutorial. 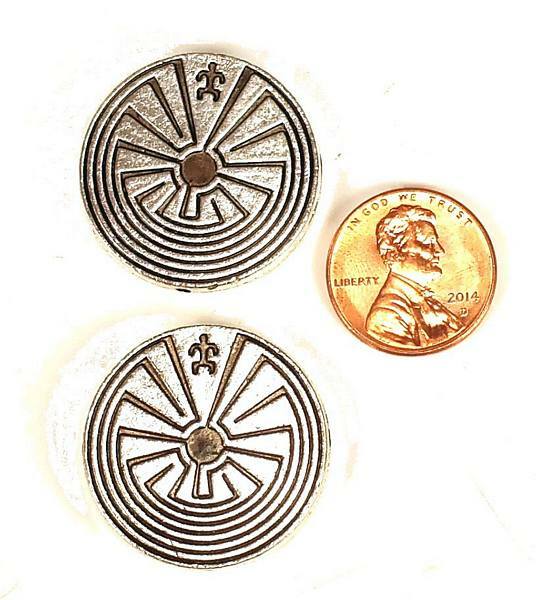 These are really attractive and are very easy to inlay. Just drill a couple of holes next to each other and enlarge as needed for the button shank to fit. Press in place with a bit of glue! 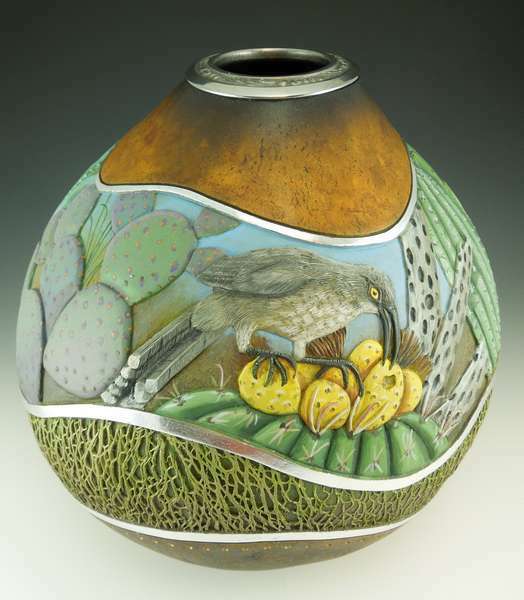 Gourd inlaid with copper and black resin. 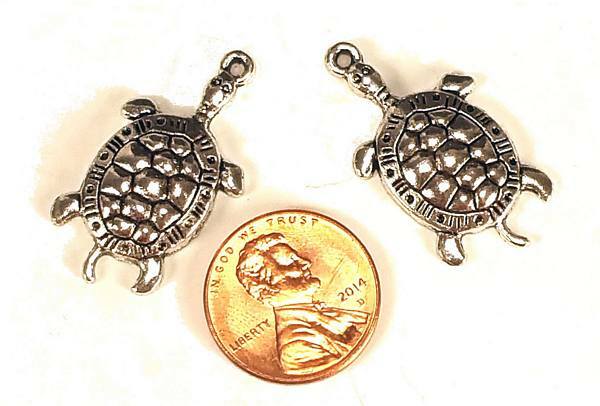 Dimensional Pewter Turtle charms. 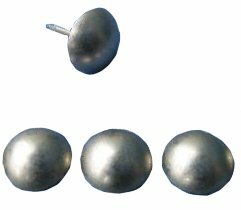 Really nice looking metal charms with a hole for hanging. Gourd with added metal ring. These cones were traditionally made by rolling embossed tobacco can lids to make decorative jingles for Native American regalia. 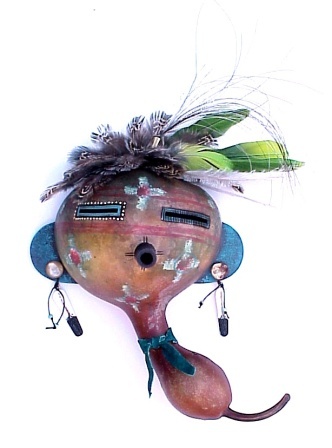 They look great on masks and other gourd projects.